Spice up the Spicy Southwest Salad: Do you dare to set your taste buds on fire? You know those people who are obsessed with spicy food? They always order the hottest dish at any restaurant, and even order extra hot sauce. Restaurants from fine dining to fast food are noticing the trend and are turning up the heat. While the spicy menu items on Chick-fil-A’s menu bring the heat (the Spicy Southwest Salad is served with spicy grilled chicken, peppers and poblano chiles and the Spicy Chicken Sandwich is seasoned with paprika), there are always ways to make them even hotter, says Neslage, who shared menu hacks to fire up any Chick-fil-A dish. 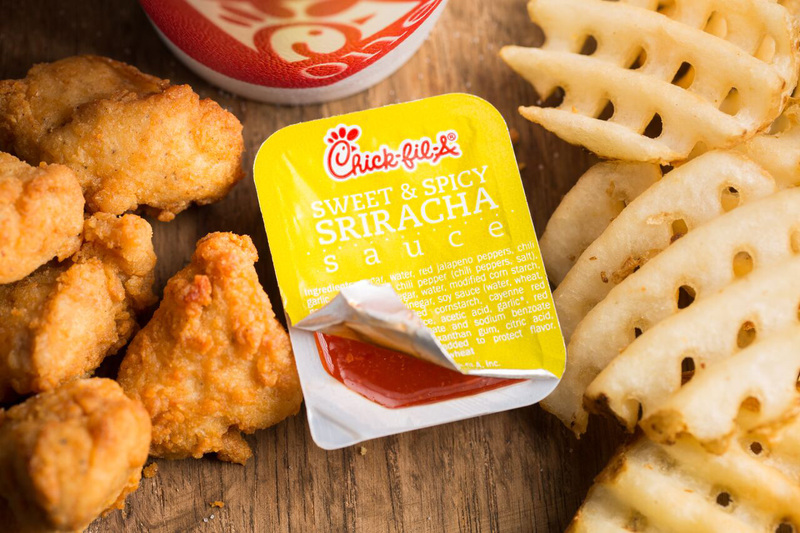 Get saucy: You may know that Chick-fil-A offers a Zesty Buffalo Sauce, but many guests don’t know that Texas Pete and Sriracha are other options. Spread some of that spicy goodness to the already spicy-seasoned grilled chicken on the Spicy Southwest Salad to kick up the heat even more. Spice up the protein: “There are ways to shake up the spice factor for the proteins on your salads, chicken biscuits or grilled chicken sandwiches,” says Neslage. For sandwiches or biscuits, remove the biscuit or buns and set aside. Next, place the fillet in the sandwich bag and pour in your spicy sauce of choice. Close the bag tightly and give it a shake. When you remove your protein, it will be coated in that delicious, spicy sauce and ready to go back on your biscuit or bun. To turn up the heat for chicken nuggets or chicken strips, just add your spicy sauce of choice to the nugget or strip box, ensure it’s tightly closed and shake! You can add these now-spicy items to the Spicy Southwest Salad or other salads - or enjoy on their own. 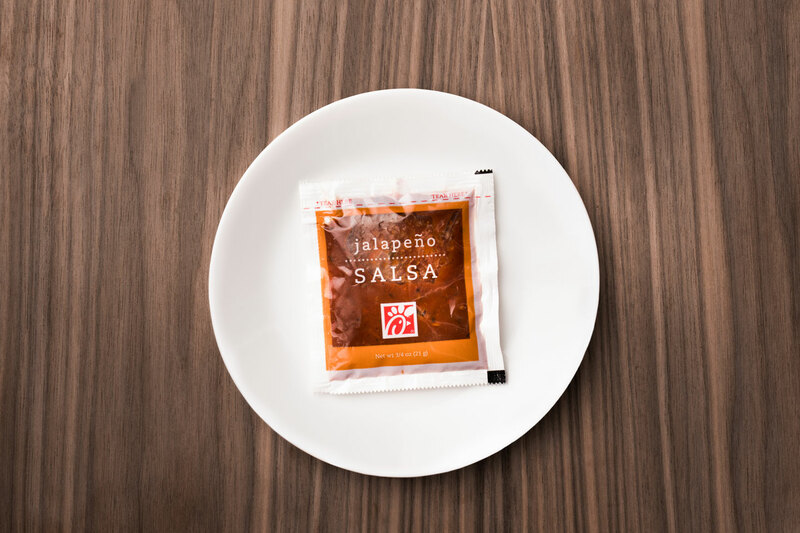 Tango with salsa: Did you know Chick-fil-A serves spicy salsa all day? It comes with the breakfast burrito, but can be ordered any time. “Many people enjoy adding the salsa as a low-calorie salad dressing for the Spicy Southwest Salad or using it as a dipping sauce for waffle fries, nuggets or strips,” said Neslage. Say cheese: Pepper Jack, that is. Guests can add a slice (or more) to any menu item! We suggest making the switch from American to Pepper Jack on the Egg White Grill breakfast sandwich for extra zing and the Grilled Chicken Club at lunch or dinner. 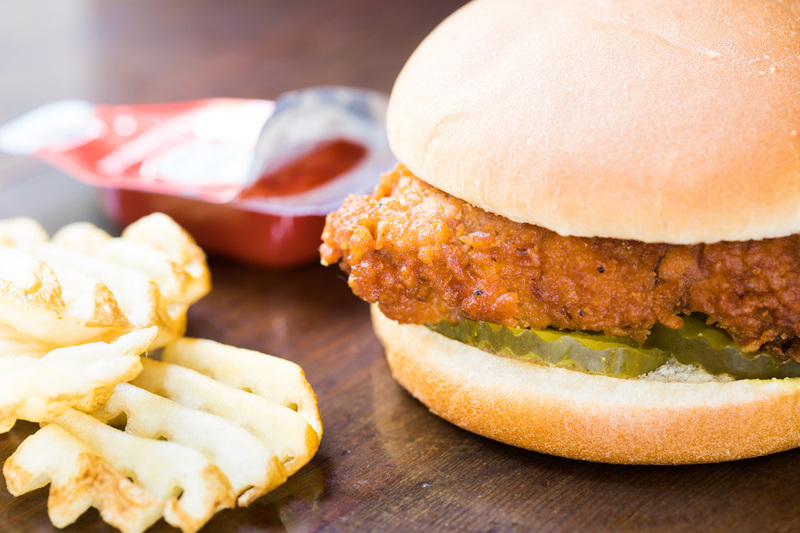 Add regional flair: Just like pickles come with the Chick-fil-A sandwich, in certain parts of Texas, you can request sliced jalapeno peppers with your sandwich or any other menu item. Check with your local Chick-fil-A restaurant to find out if they serve jalapenos.